The spot foreign exchange (also called spot FX or forex) market is the largest market in the world, with over one trillion $US traded every single day. One of the forex derivatives of this market is called the forex futures market. This market consists of only about one hundredth of the total size. Speculating and Hedging are the 2 primary ways in which forex derivatives are used. 'Hedgers' use forex financial contracts futures to help eliminate or reduce risk by insulating themselves against any possible future price shifts. In contrast, speculators want to take risks in order to ensure a profit. Let's take a closer look at how these two techniques can be used as forex derivatives. Speculating is profit-driven. In the FX market, futures and spot FX do not differ too much from each other. So why would you want to identify trade opportunities in the futures market instead of the spot market? We will take a look at some of the pros and cons of dealing with forex financial contracts in the futures market. The pros of using the futures market as a FX derivative is Lower spreads (2-3), lower transaction costs, and more leverage: often as much or more than $500 a contract. The cons of using the futures market as a type of foreign exchange derivatives is that it often requires a larger amount of capital, the fact that its limited to the foreign exchange's session times, and that National Futures Association fees may apply. The trade opportunity strategies employed for speculating are much the same as those used in spot markets. 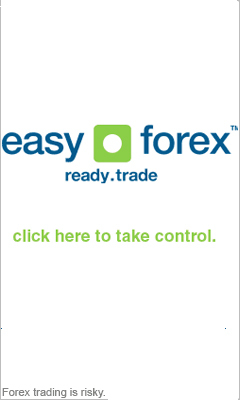 The most widely used foreign currency derivatives strategies are based on regularly used forms of technical chart analysis since these FX markets tend to trend well. Examples of this Gann and Fibonacci studies, pivot points, and other commonly used techniques. Alternately, some foreign currency derivates speculators use more intricate strategies, such as arbitrage. When you take a closer look at hedging, you will see why there are several reasons to utilize hedging strategies in the forex futures market. A major goal is to neutralize the currency fluctuations effect on sales revenue. For instance, if a firm operating overseas wants to find out how much revenue it will get from its European stores (in US dollars), it could purchase a futures forex financial contract. The contract will be the same amount of its proposed net sales to try and eliminate the effect of currency fluctuations. When hedging, FX traders often make a choice between futures and another of the foreign currency derivatives known as a forward. They have several differences, but the two most important differences is that forwards allows more flexibility in selecting dates and contract sizes; and that the cash that backs a forward will not be paid until the contract expiration, whereas futures-generated cash is calculated on a daily basis.